Through an exploration of the experience of severe and profound intellectual disability, this essay will attempt to expose the predominant, yet usually obscured, medical anthropology of the child and examine its effects on pediatric bioethics. I will argue that both modern western society and modern western medicine do, actually, have a robust notion of the child, a notion which can find its roots in three influential thinkers: Aristotle, Immanuel Kant and Jean Piaget. Together, these philosophers offer us a compelling vision: the child is primarily a future rational, autonomous adult. While this tacit understanding has arguably widespread effects on such things as our concept of good parenting, of proper schooling, and so on, I will focus on the effect is has on the treatment of children with severe developmental disabilities. When examined in light of this population, the dominant medical anthropology of the child will be shown to be deficient. Instead, I argue for an expansion—indeed, a full reimagining—of our notions of childhood, not only to re-infuse dignity into the lives of children with SDD, but to better represent the goods of childhood, generally. AAP Committee on Adolescence. (2016). Achieving quality health services for adolescents. Pediatrics, 138(2). doi: 10.1542/peds.2016-1347. AAP Committee on Bioethics. (2016). Informed consent in decision-making in pediatric practice. Pediatrics, 138(2). doi: 10.1542/peds.2016-1484. 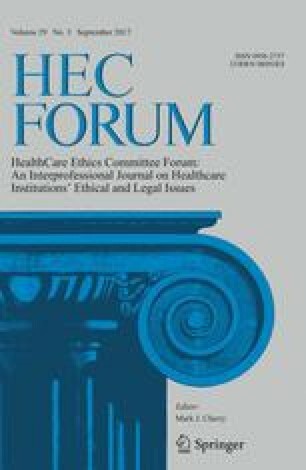 Katz, A. L., Webb, S. A., & AAP Committee on Bioethics. (2016). Informed consent in decision-making in pediatric practice. Pediatrics, 138(2). doi: 10.1542/peds.2016-1485.